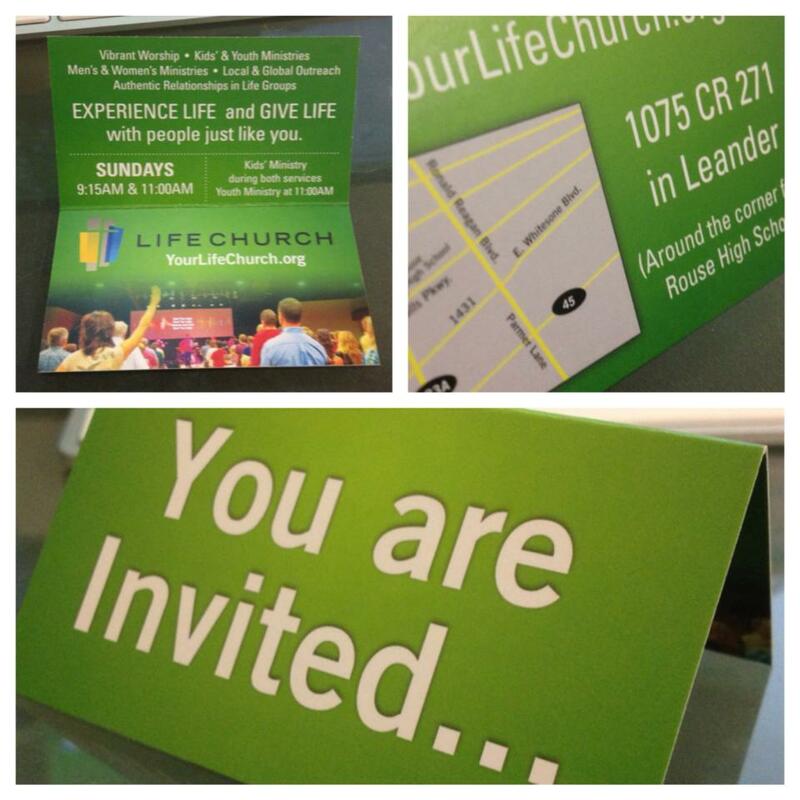 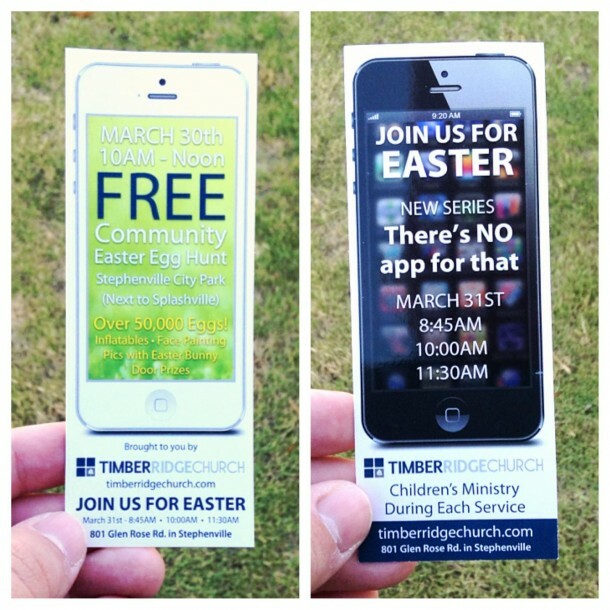 2″ x 5″ invite cards for Timber Ridge Church in Stephenville, Texas. Changing the size of an invite card often does a lot to attract attention. We’re very proud of these invite cards we designed and printed for Courageous Church. 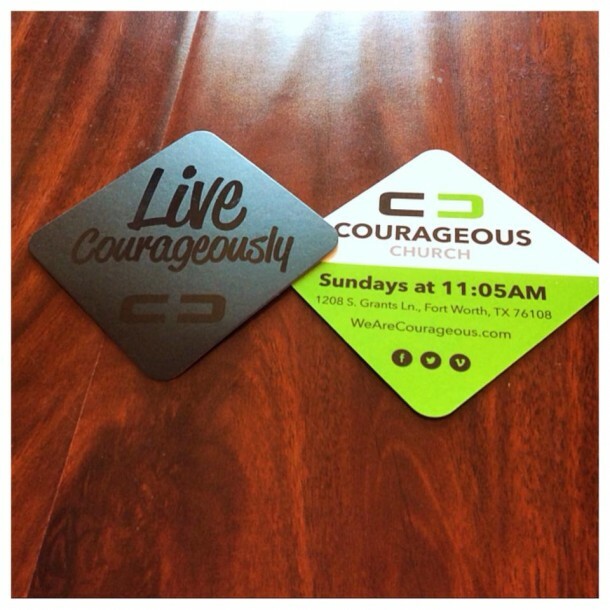 2.5″ silk laminated squares with rounded corners and spot UV gloss on both sides. 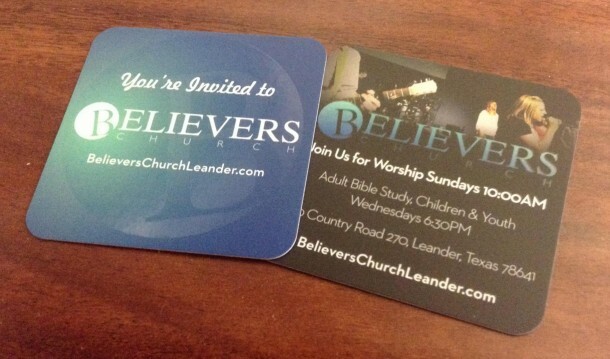 Here are some invite cards for Believers Church. 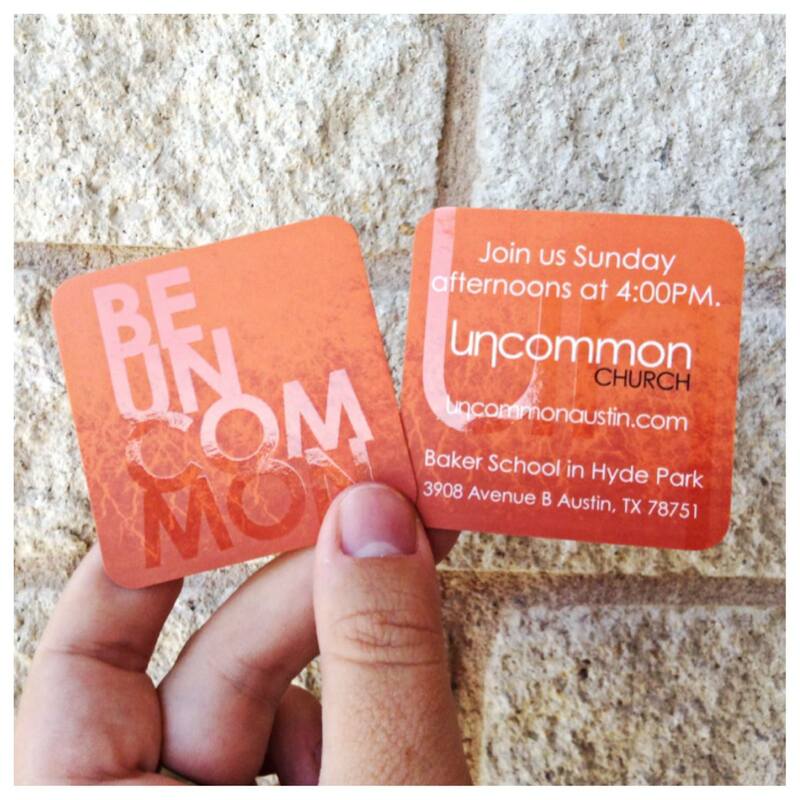 Rounded corners and a spot UV finish.